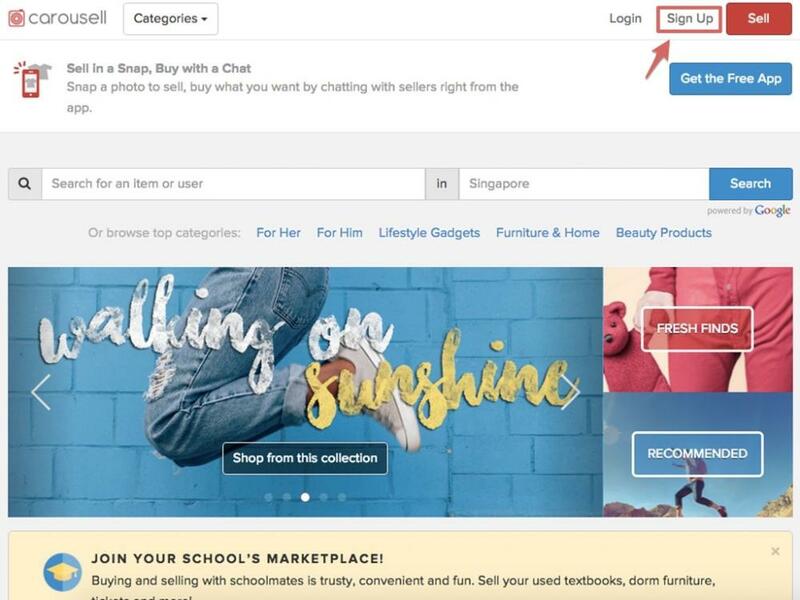 How to sign up for a Carousell account via the web? 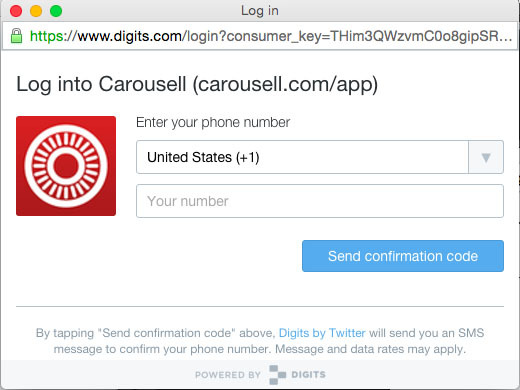 If you do not own an Android or Apple device, you can use Carousell on the web. Signing up for an account is easy. 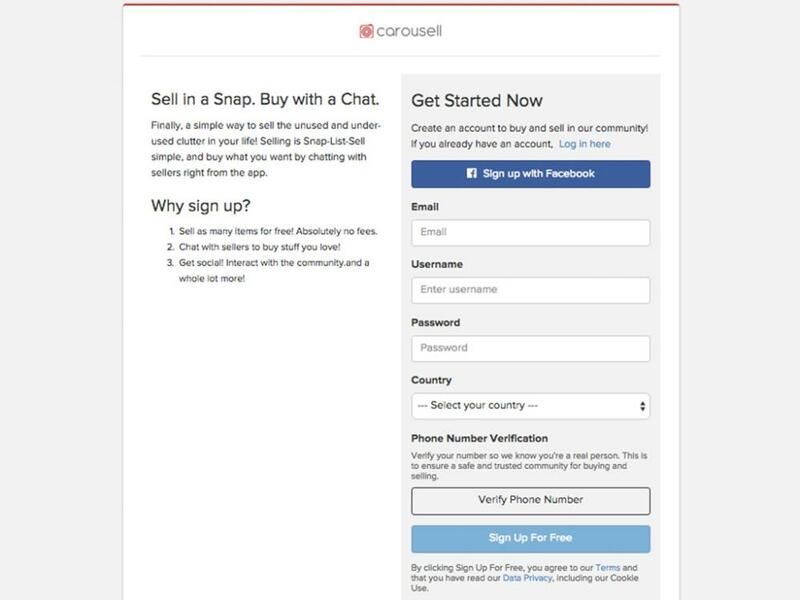 Go to www.carousell.com and locate the Sign Up button. 2. 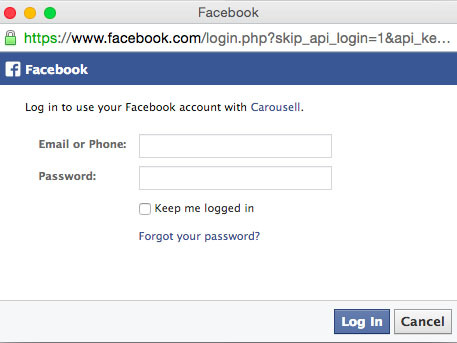 Click on “Sign up with Facebook” and log in to your Facebook account. If you are already logged in, you may not need to enter your credentials again. 3. All done, go ahead and browse! 2. Fill in the Sign Up form with all the details requested. Try to add numbers to your username to make it unique. Be sure to make your password secure too. 3. For your safety, we have also included a mobile phone verification step for web sign ups. To verify your mobile phone number, click on “Verify Phone Number”. A pop up should appear. If it does not, do check if you have enabled pop-ups. 4. You should receive an SMS with a verification code. This SMS service is provided by Twitter so the SMS you receive would be sent by Twitter ( https://get.digits.com/). 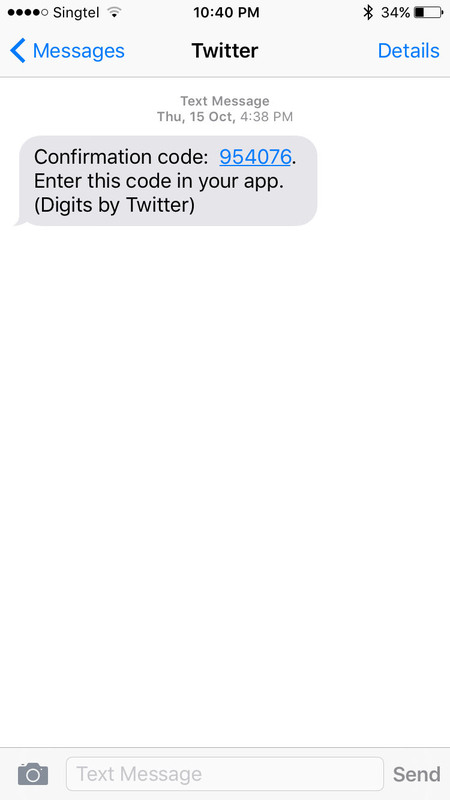 Enter the code and you are done with phone verification. 5. To finish with the sign up, click on “Sign up for Free” and your account would be created. 6. All done, go ahead and browse! If you have signed up with your email address, do verify your email address by checking your email account for a verification email. Do remember that you would only be able to list an item for sale after your email has been verified.